This one time session is designed to help you both with the transition of your new life together. Topic covered include Teething, Housebreaking, Crate Training and more. Assessment visit at your home and at your convenience. A customized Training/Behavior plan that will be emailed to you with in 48 hours, based on information gathered at our meeting. This plan is good for one month only. Any longer will need a re-assessment. 1. Detail's of the behaviors you want to improve or learn, and maybe some I have observed. 2. Outline of how we will implement this program. 3. A time frame and cost. Basic Manners: “All Ages” covers topics like Sit, Stay, Down, Off, Leave it, Drop It and Recall. But again all training is custom to meet your needs, so we work on only what you want to achieve. 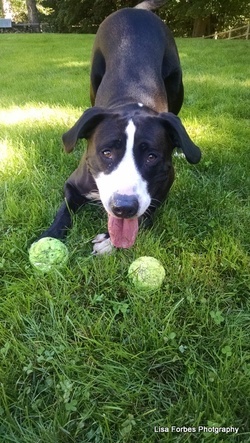 Individual Sessions: This is for situations where you may only need or want to work one or two issues like, Greeting people nicely, Walking nicely on Leash, Enrichment or new behaviors you are unsure about. In your home or choice of location, and at your convenience. Most folks do 1 class a week for the time frame stated, but that to can be customized. After each class, you will receive an email with in 24 hours detailing our class and your homework for the week. At the next class we will go over the last class to be sure you are doing OK. Then the rest of the class will be spent learning that weeks lessons. At anytime during our work together we can adjust the plan, should the need arise. You may add classes at any time during our time together. For any cancellations, we ask for 24 hours notice by email or text. You can call or email me to book your first class. If possible, we would like to schedule all of your classes and to have them run no longer than three months out. Payment is requested in full at the end of our first class - Cash or Check. New- We know how much you love your dog, and we also know that life can get very busy. So I am now offering Lessons with Lisa. 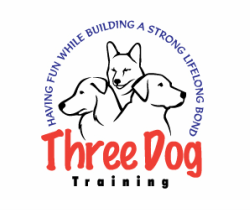 This is a two week training program, where I will work with your dog one on one in your home or at the center while you are at work,home with the kids or running errands. Dog will learn: To look to you for direction.